CINEMA AT HOME is your Kansas City Home Theater and Electronic Lifestyle liaison. 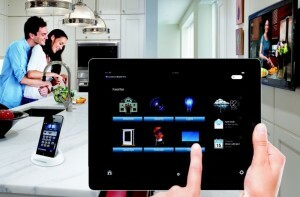 Let us integrate your Electronic Lifestyle! CINEMA AT HOME was created because people demand more from their homes than ever before. Today’s savvy home-owners expect Entertainment, Security, Energy efficiency, Interactive Control, Comfort and Increased value. CINEMA AT HOME understands that electronic technology is now an integral part of your daily lifestyle; whether around your home, in your workplace, while driving your car, monitoring your health or providing entertainment – you are constantly interacting with electronics. This is what we like to call living the Electronic Lifestyle. For over 10 years, Kansas City’s CINEMA AT HOME has been locally owned and operated. In that time we have grown from a conceptual Kansas City Home Theater idea to a respected and recognized Custom Electronics Integration company. 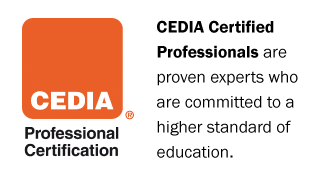 Being a member of both CEDIA and ESPA assures professional ethics and standards. We provide the latest in Home Entertainment, while promoting Green Home energy conservation attributes and Smart Home Automation systems. We are constantly training to keep up with electronic related technological advancements, so we can integrate these exciting systems into homes and businesses all over the Greater Kansas City area. We are here to help you, not confuse you! 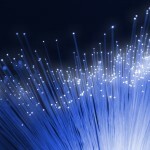 Though technology is rapidly evolving to enhance and simplify our lives, for many this means “complexity and confusion”! CINEMA AT HOME understands both the challenges and apprehension this may present to you. This is where we can help! From solving issues with your existing entertainment system to integrating the latest technology into your new Kansas City dream home. CINEMA AT HOME will enhance and simplify your new Electronic Lifestyle! If you are hoping for a big box discount electronics store with aisles of bright, shiny TV’s, speakers, dish-washers, vacuums and computers; full of inept, untrained employees trying to upsell you with cables, movies, Netflix subscriptions and extended warranties… then we will disappoint you. However, if you prefer One-on-one service with knowledgeable, professional technicians that are trained to provide custom solutions for all your electronic needs at competitive pricing… then look no further. CINEMA AT HOME carries all the name brand electronics found in these big box stores, as well as Professional Custom Grade brand lines not available to them. 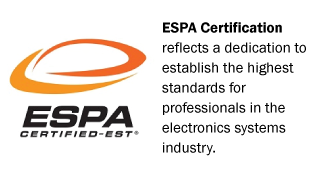 We also provide system design, installation, set-up and service that is backed by CEDIA and ESPA accreditation. 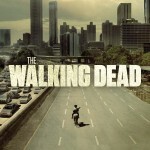 Kansas City’s Premiere Audio/Video/Electronics Professionals. 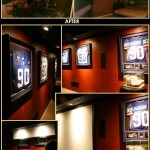 Yes, we are Kansas City’s premiere electronics integrator; however you may have seen our custom Home Theaters nationally. We have been interviewed on Home and Garden Television (HGTV), we have written commentaries for Home Builder Magazine and our exclusive Cyberdyne Cinema was featured in Electronic House Magazine. Locally we have been featured in the The Kansas City Star and provided tips and commentaries for KC Homes & Gardens Magazine.